Wines from Cousino Macul Winery; Alto Maipo, Chile. Mr Carlos Cousino of Cousino Macul Winery was in town on 15 Oct to introduce several wines from his stable. The foIks at Alfa International (some would be more familiar with the company’s wine ecommerce site: ewineasia.com) was good enough to extend me an invite. It’s a winery with some history and time under its belt. It was founded in 1856 by Mr Matias Cousino and to date is the only Chilean winery from that century that is still in the hands of the original founding family (and still 100% under family control). 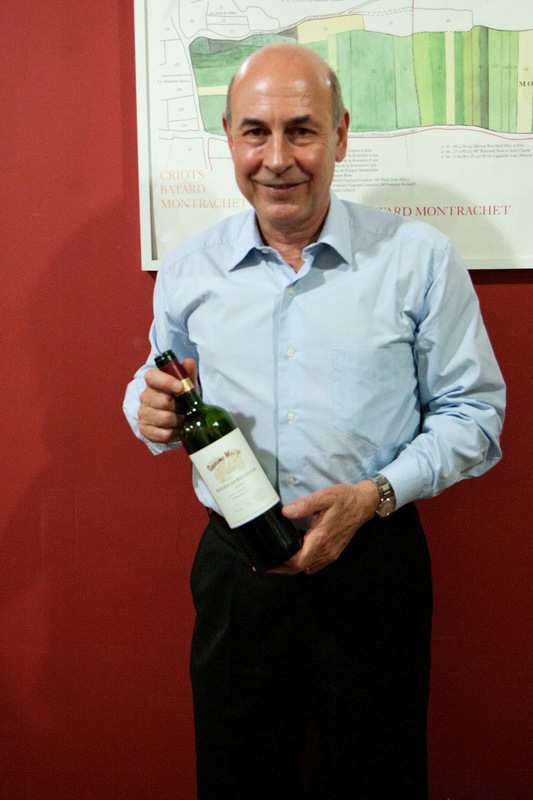 The founder’s passion for producing wine was inherited by his son, Mr Luis Cousino, who took over the estate. Generation after generation contributed their fair share to continue with this legacy of wine making. Presently, with slightly more than 155 years of history, this winery is in the hands of 3 brothers (Carlos, Emilio and Arturo Cousino), who make up the 6th generation. This new aim resulted in a major shift in its viticultural practice, followed by a major investment and overhaul within its winery and cellar facilities. Carlos explains that the brothers’ primary intention is to make wines that can be enjoyed at a gathering or over a meal with friends and family. It’s not about crafting wines for the sake of winning awards or getting a high rating from wine critics. “Approachable when young, but with the potential to age” explains Carlos. Towards this end the brothers strive to produce wines which display a degree of elegance, balance and roundness in body so they are approachable for consumption when young; while at the same time possessing the required elements within the wine to facilitate aging if so preferred. 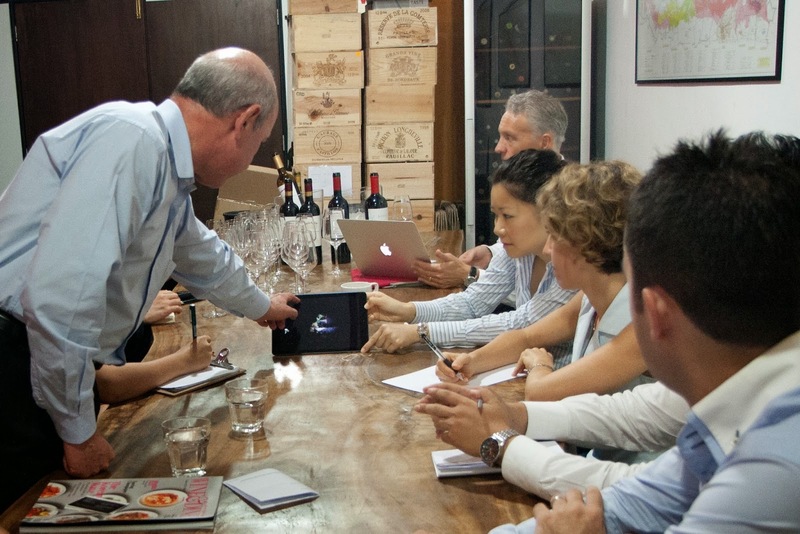 Through their viticultural and vinification practices they hope to show to consumers the influence of Maipo Valley’s terroir upon the grapes and the resulting wine. Presently the winery owns 2 estates. Both are located within the Maipo Valley. The first one (Macul estate) is located south east of Santiago; while the second one (the Buin Estate) acquired in 1996, is located south of Maipo Valley, near the town of Buin. Both vineyards are located in the upper region of Maipo Valley (therefore the name Alto Maipo). It is ruled by a Mediterranean climate with subtropical thermal conditions. The temperature here averages at 30C during summer (with a temperature variation of 20C between day and night). This variation enables the grapes to attain biological and phenolic ripeness while still retaining a good degree of acidity within the grape juice. Carlos highlights 3 initiatives he has implemented during the vinification process in order to produce good quality wines; they are: keeping grapes under a cold temperature prior to fermentation, aggressive fermentation and long maceration. These steps he believes help the wine to hold its fruit characters while still retaining freshness and vibrancy. Aging after fermentation is carried out in stainless steel tanks or French oak barrels as required by these wines. Current annual production is around 300,000 cases. The group at hand had the opportunity to taste 6 wines from this winery. 2013 Antigua Reserva (Chardonnay). Around 15% of this wine is barrel fermented while the remainder is fermented in stainless steel barrels. This brings forth a wine with a little more structure, body and character while still retaining freshness. 2013 Finis Terrae (Chardonnay, Riesling & Viognier). Only 500 cases produced annually. Light bodied wine with pleasant aromatics. Both whites show as refreshing sips with good offerings of fruit flavours in palate. The noticeable acidity present in the body adds liveliness to these whites. The 2013 Antigua Reserve single varietal Chardonnay came off as a wine with good structure and restrained elegance; while the 2013 Finis Terrae displayed more aromatic charm with a ‘easy drinking’ appeal. The reds generally display a good amount of fruit flavours in the palate; acidity is evident and it keeps these wines lively. The good thing about the tannins is that they are present without being big, bold or harsh. It keeps these wines approachable to drink even when young but with sufficient amount present to offer aging potential. 2012 Antigua Reserva (Merlot) Dark fruits, spice and ripe berry flavours. Medium plus body showing acidity. Tannins display a little grip in the gum. 2012 Antigua Reserva (Cab Sau) Hint of spice, oak, leather; medium plus body, smooth texture. 2010 Finis Terrae (Cab Sau, Merlot & Syrah) Dark fruits, mocca and tobacco notes; smooth and supple body which holds acidity and tannins without overpowering the fruits in the palate. Tannins display a feel of austereness in mouth. Shows potential to age further. 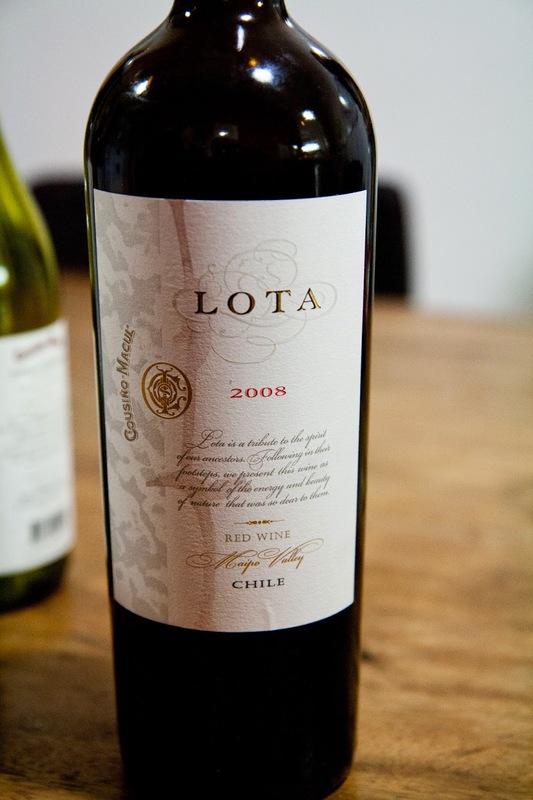 2008 Lota (Cab Sau, Merlot) A flagship of this winery; grapes come from vines 80 years or older. Hand harvested, berry selected, basket pressed and aged in new French oak after fermentaton; lots of care goes into making this wine. A wine with good aging potential; certainly lovely on the nose at this moment. Tannins offer a grip in the mouth hinting at the possibility to age further and there’s ample fruits in the body to see it through. Apart from a good presence in Chile itself, Cousino Mascul winery’s 2 other major markets are Brazil and USA. In 2013 local consumption was 40% of its sales volume, while 60% was exported abroad. 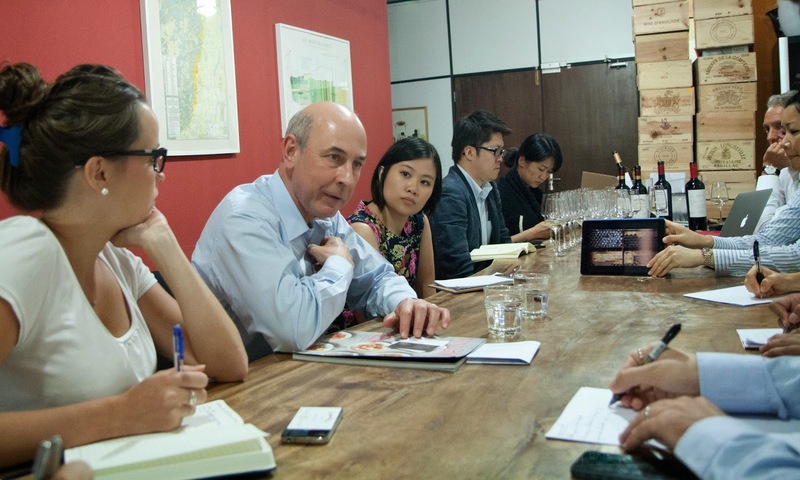 In Asia these wines are present in Japan, Korea, Hong Kong, mainland China and now in Singapore as well. For more information on these wines you can contact 62223977.